In travelling around German theatres regularly, one often finds the most unexpected treats in the most unlikely of places. Detmold, a former ducal town in the Lippe district of north-east Westphalia, has a grand but diminutive 600-seater theatre that one would expect not to extend much beyond being able to stage Mozart. Yet a few seasons ago it put on its own Ring cycle, and this season has mounted a production of Strauss’s Elektra that is the equal of anywhere. Admittedly, the theatre had to use the authorised version for reduced orchestra (but so did Welsh National Opera, the last time it staged it in the UK), but the pit, which extends back under the stage almost in Bayreuth manner, is more capacious than it would seem. Musically, Detmold assembled a first-class cast, who seemed to be relishing the chance to portray these often larger-than-life characters in such an intimate theatre. It allowed Sabine Hogrefe’s Elektra to articulate every detail of her role, without it becoming the yell that it can in huge houses. She sounds more of a mezzo than a soprano (and bears a passing visual resemblance to Christa Ludwig, another mezzo who stretched upwards on occasion), with a resonant chest register and strongly projected middle; only occasional high notes let her down. But her dramatic assumption of the role was all-encompassing, even if her final, fatal collapse was unconvincingly abrupt. 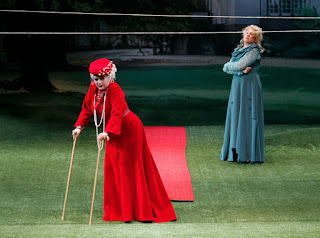 Gritt Gnauck’s Klytamnestra conversely had more the air of a soprano than the usual mezzo, though her shaping of the character’s wily, whining turns of phrase was expertly done and her physical embodiment – a crippled duchess in vivid red – was over-powering. Susanne Serfling, a guest from the ensemble in Darmstadt, where she has proved herself as an estimable Sieglinde and Salome, made Chrysothemis more than the usual wet side-kick to her more forceful sister, and sang the role with admirable control and carefully coloured tone. Michael Zehe was an imposing Orest, though a rapid beat in his voice detracted from his legato line. Markus Gruber was an appropriately oily Aegisth in his short cameo before he has his throat cut, and the rest of the cast suggested a well-tended company at the height of its powers. 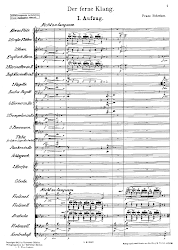 The orchestral playing – perhaps exhibiting just a little thinness in its string complement in the closing pages – was vibrant, colourful and powerful under the baton of Lutz Rademacher. 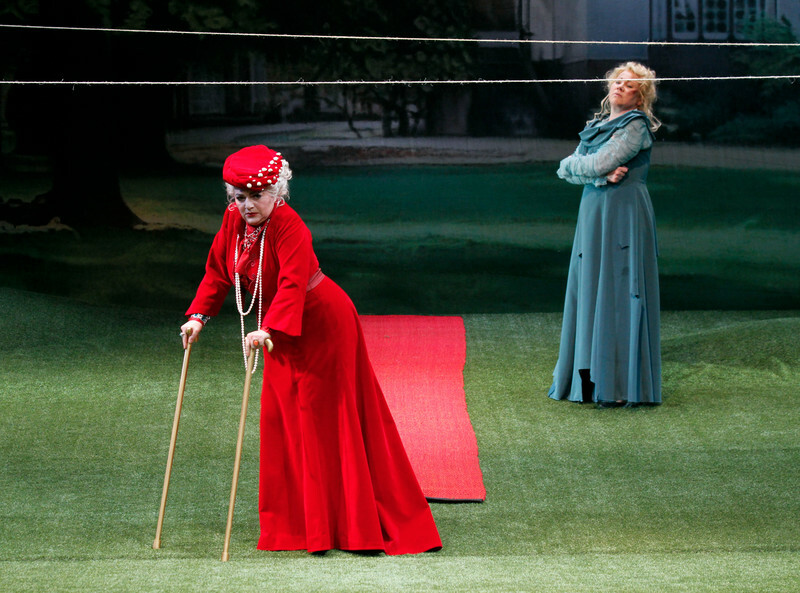 Christian von Gotz’s striking production relocates the action from Ancient Greece to a bourgeois country house at around the time the opera was written (c.1909). 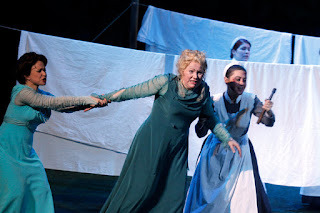 The upstairs-downstairs/Downton aspect of the social order is emphasised, with the brutal Overseer encouraging the bullying of the Fifth Maid, who sides with Elektra against the others and joins in their butchering at the end. The setting contrasts the idyllic garden with the gruesome violence behind the scenes – and it’s inevitable that the clean linen that the maids are putting out to dry at the start will be blood-splattered by the end. With such intense acting from all concerned, to match the musical qualities, this is truly an Elektra to be reckoned with.